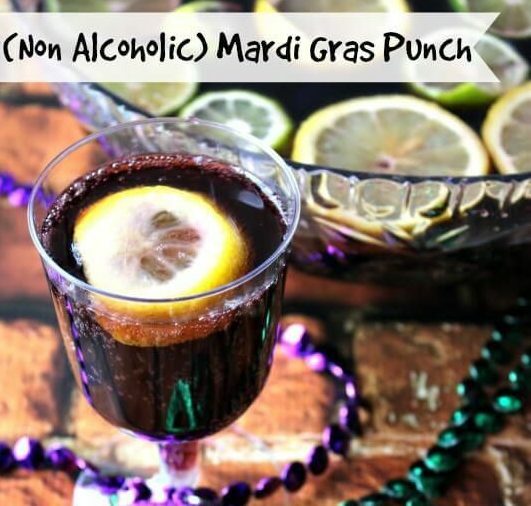 Have you ever had a Mardi Gras party at your home? 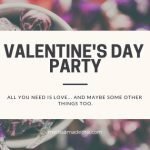 I’m planning one this year, so here are my favorite ideas that I’ve found to try. 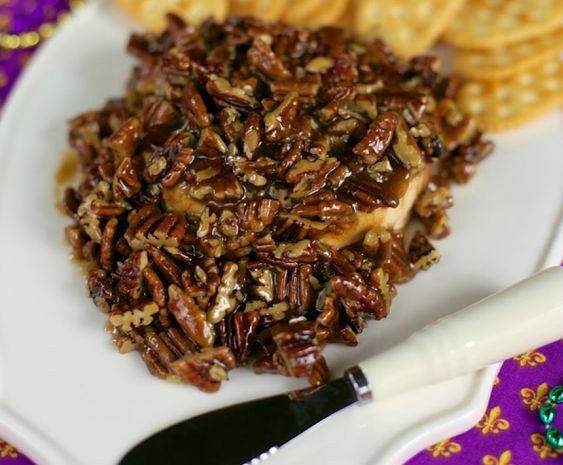 Click on any image to link to shopping, DIY instructions or recipe. 1. 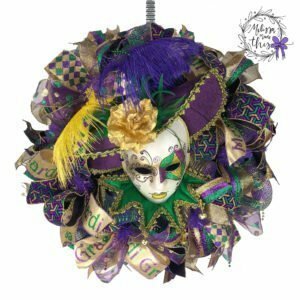 Every Mardi Gras party must have this: Fabulous decorations! 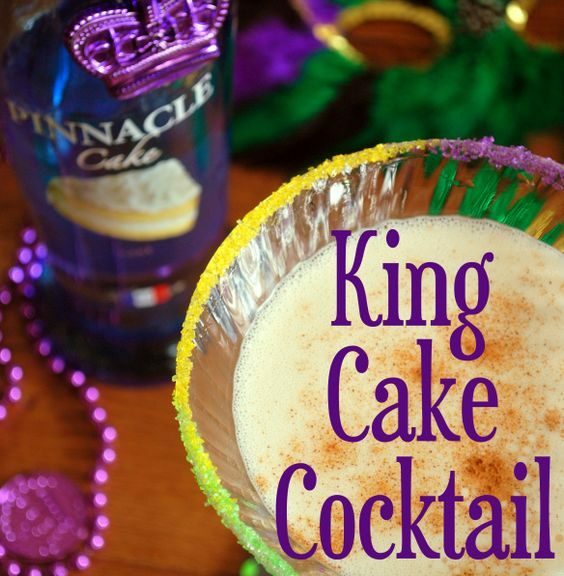 You can’t get too gaudy on Mardi Gras, so set the mood with sparkly gold, purple and green. 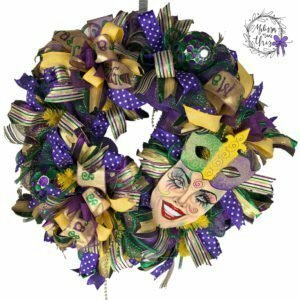 A gorgeous Mardi Gras wreath for your door would be a great start. Then you only need a few more sparkly touches. 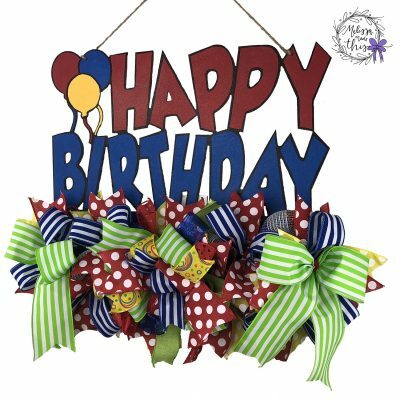 Themed plates & napkins are easy to find on Amazon or Oriental Trading. 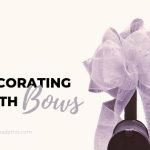 Glam it up with these easy DIY projects. 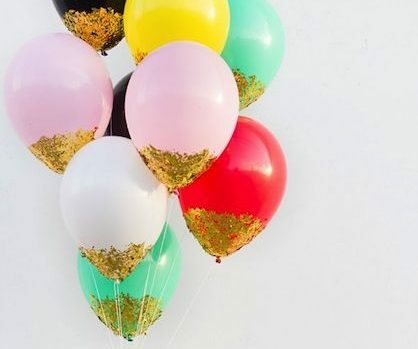 These DIY glitter balloons are sure to add to any party! 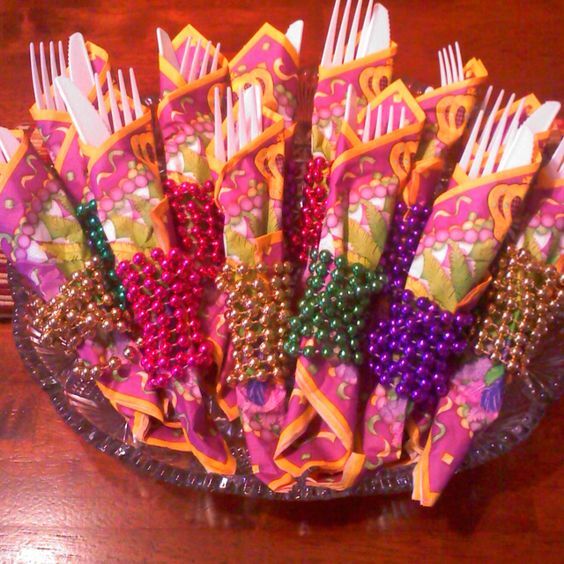 Make even plasticware look fancy by wrapping them with Mardi Gras beads! Centerpieces are a must for any fancy party, even if you aren’t having a sit-down meal. 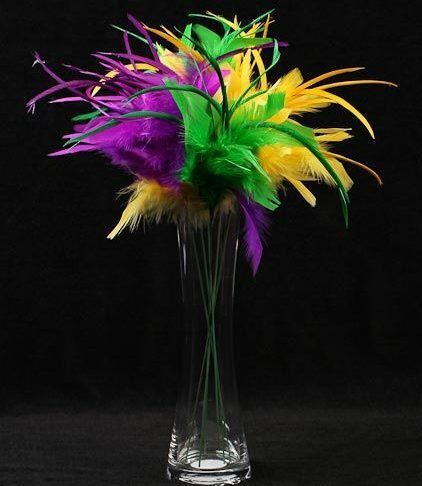 This feather vase makes a cute centerpiece when tall pieces are appropriate. And for larger tables like the food tables or buffets, this creative use of Mardi Gras beads makes a simple and fun statement. 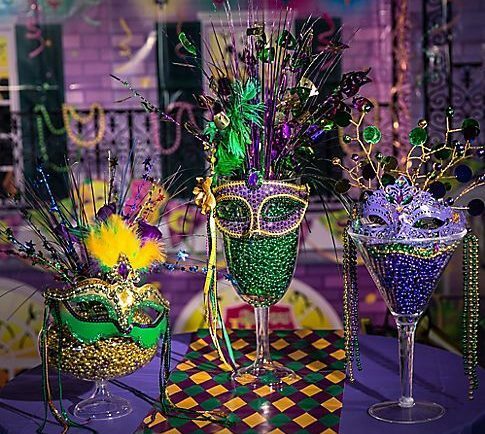 If you want to go with a little more bling, then these martini/wine glass mask centerpieces can be used at various heights to fit any occasion. Mix and match for added fun! 2. 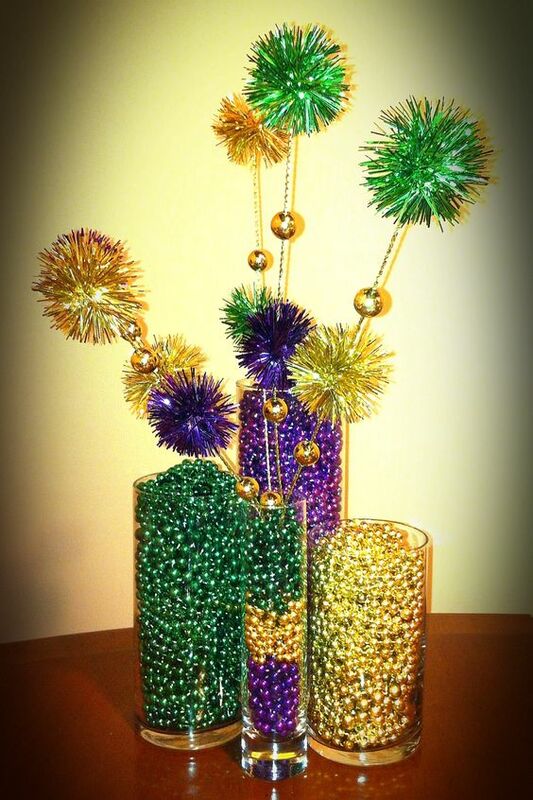 And of course we can’t let the table or door decor outshine you at your Mardi Gras party! 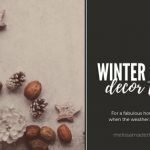 You’ll need some fancy decor for YOU! Even if I don’t dress up, I will surely pull out the glittery eyeshadow for the occasion. Here are some cute examples I found. 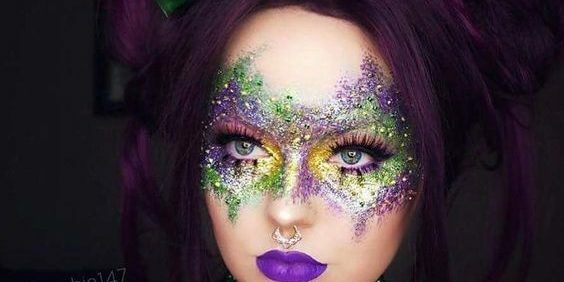 I also love this beautiful Mardi Gras eyeshadow. And of course, you need beads. All the beads. 3. 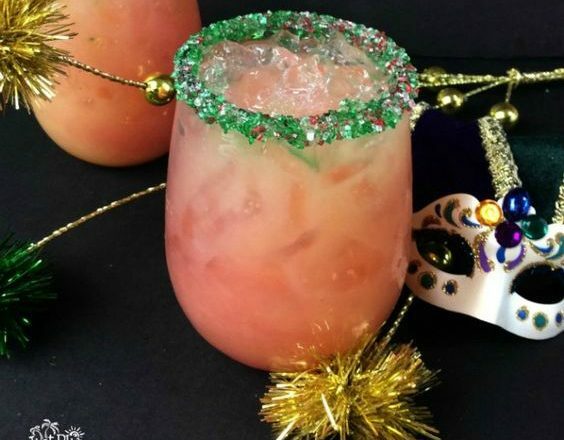 It’s pretty impossible to have a Mardi Gras without this staple: Festive cocktails! Or click here for a virgin Hurricane mocktail. 4. 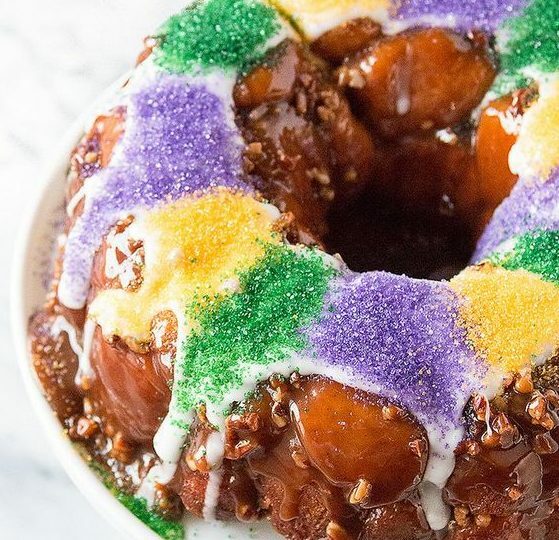 Laissez Les Bons Temps Rouler (Let the good times roll!) with this easy fix for Fantastic music! Nothing sets the stage like music, right?! Go to your favorite music app, (I love Spotify) and search for Mardi Gras party. Done! Easy and cheap or free! 5. 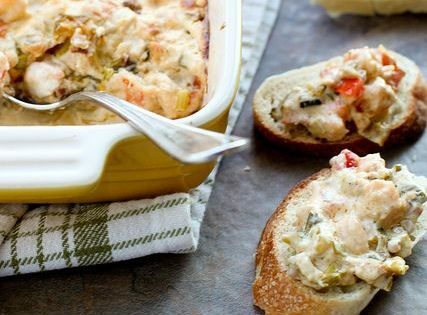 Whether you want fancy or simple, you won’t go wrong with these choices for fun FOOD! 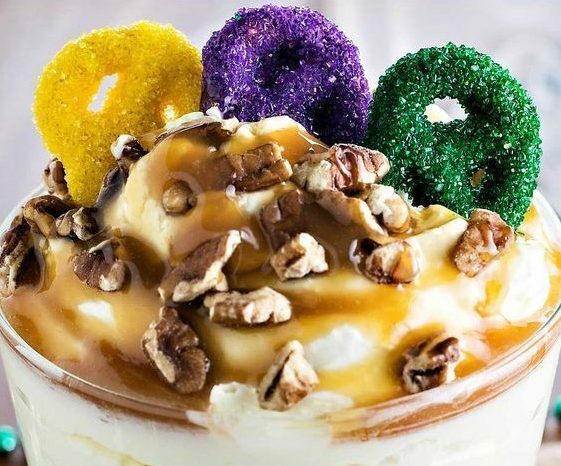 The food is the best part, and Mardi Gras has tons to choose from. You can go from elaborate to easy, whatever you like. 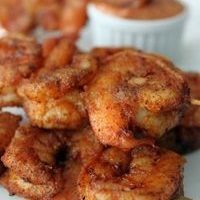 Here are some delicious looking recipes that I want to try. There may be more food than guests. Lol. 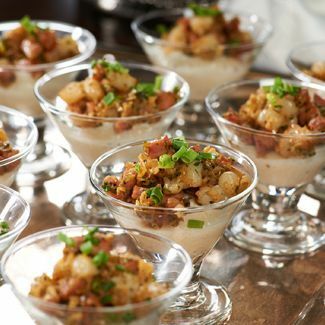 Or try these Creole Oyster Crackers. 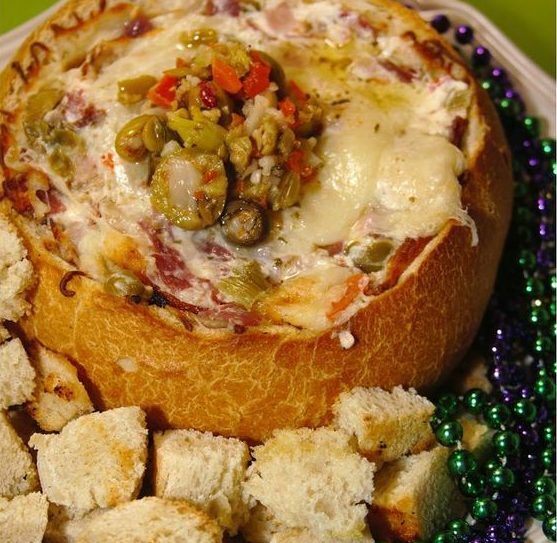 And, this amazing Kings Cake Dip to finish out the menu! 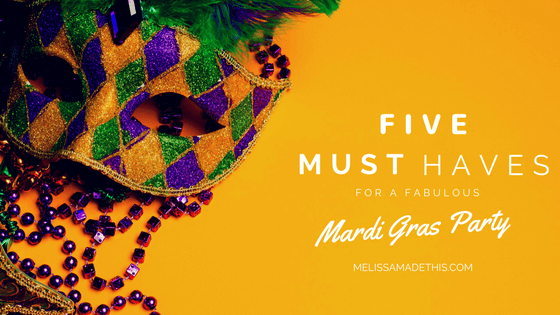 So, there you have it… five steps to your fabulous Mardi Gras party. 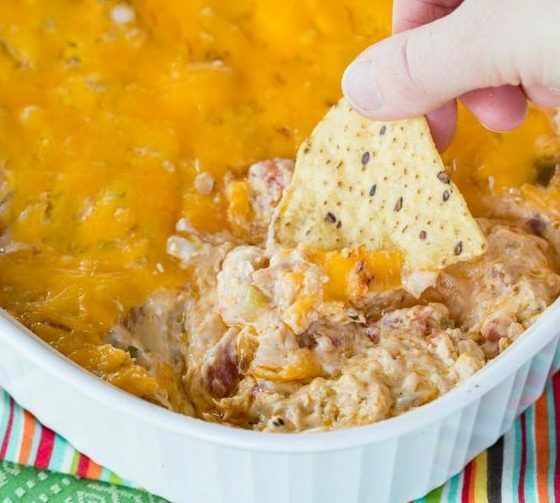 If you think of anything I’ve missed or have a great recipe you’d like to share, please do so in the comments! I can’t wait to hear from you!